The mother of five is now sharing how and why she made the design choices that made the room, and the result is a primer any parent can learn from. 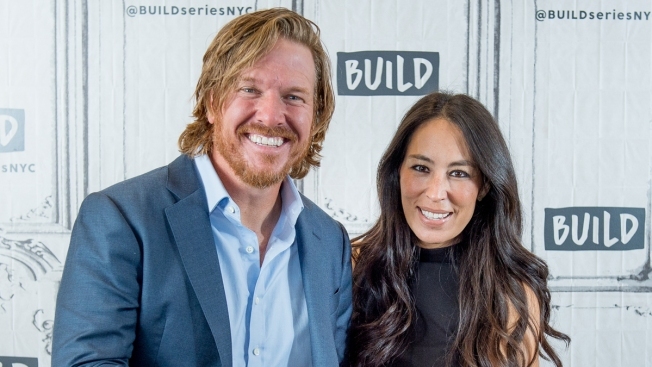 If you follow former "Fixer Upper" star Joanna Gaines on social media, chances are you've already had a glimpse of the simple-yet-elegant nursery she designed for her and husband Chip's newest addition — their 6-week-old son, Crew. The blend of vintage mid-century pieces mixed with upcycled items, new elements and custom creations is so picture perfect, it almost seems beyond reach for average folks. But if you like what you see, don't give up on your own version of this baby oasis! Joanna isn't simply showing off Crew's stylish digs anymore. In a new essay for her Magnolia Journal, the mother of five is now sharing how and why she made the design choices that made the room, and the result is a primer any parent can learn from. The first thing you should know about Crew's bedroom is that it's not a really a bedroom. "Our older kids (Drake, 13, Ella, 11, Duke, 9, and Emmie, 8) have always shared rooms, but with the eight-year age gap, it didn't seem practical to add a baby to their space," she wrote. "While we didn't have any spare rooms at the farm, this challenge seemed like an opportunity to get creative with the square footage we had. I've always been a firm believer in using each area of our home in a way that best serves the season of life we're in. And that's where we found ourselves earlier this year — reimagining how and where this new baby would best thrive. That's ultimately how our den became Crew's nursery."